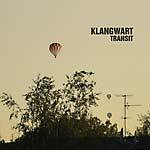 The "Elder Statesmen of Neo-Krautrock": Electro-duo Klangwart was thought-provokingly labeled as such by an inventive music journalist when presenting their previous album Transit, which was named, among others, Record of the Year in the "Avant-Rock" section of The Wire's 2016 Critics Poll (STAUB 133CD/LP, 2016). The tag responds to an understandable attempt at finding a category for one of the most singular phenomena of the electronic music scene. It might be more passing to call them the "Under-Statesmen", as minimalism and understatement are key elements of the Klangwart project, founded more than 20 years ago by musician and author Timo Reuber and DJ and Staubgold label manager, Markus Detmer. 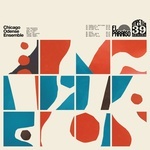 Every few years, seemingly coming out of nowhere, the duo releases a consistently critically-acclaimed Klangwart album, give a couple of concerts, and disappear once again. This might sound of harakiri, as it contradicts all common rules of the music market. But behind it lies a profound longing for veracious expression on the border between avant-garde and entertainment. In 2014, Klangwart traveled to the Colombian capital in order to record the material for Bogotá with protagonists of the local music scene: Damián Ponce (drums), César Quevedo (bass) and Eblis Álvarez (violoncello), members of The Meridian Brothers, and singers Juanita and Valentina Áñez Rothmann, aka Las Áñez. The result is Klangwart's trademark sound permeated by a Latin American pulse and pitch. 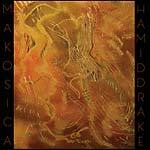 Collectively improvised and recorded in a matter of days, the raw material was later edited and mixed by Reuber at the Inkiek-Studio in Cologne. Joseph Suchy added guitar overdubs and mastered the album. At all times unpredictable, exciting, and surprising, Bogotá is the latest milestone in Klangwart's ongoing musical journey. Includes CD.